Known for our reliable and honest approach, we have quickly become the garage of choice for MOT tests in the Cambridge area. With quick turnaround times, highly skilled and approachable mechanics and competitive independent prices it is easy to see why. Our large four bay garage can cater a wide range of vehicles, from cars to camper vans, light commercial vehicles to motorhomes. As one of the few garages in the Cambridge area who offer MOT tests for motorhomes we offer a set of skills that are hard to match. As a leading independent vehicle garage in Cambridge, we have cemented a reputation for offering car servicing backed by reasonable pricing, skilled mechanics and scores of satisfied customers. 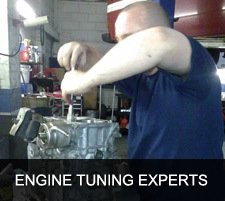 Our experienced mechanics have accesss to the lastest tools and equipment ensuring that they are are able to offer some of the most efficient car servicing in Cambridge, keeping your vehicle at its best, with the least possible incovenicence to you. If you are experiencing mechanical or electrical fault with your car, van, motorhome or other vehicle then having a full diagnostics check. At Cambridge Vehicle Services we are equipped with the latest fault finding computer software, allowing our mechanics to accurately diagnose and fix the problem, saving your money and time. Every vehicle manufactured since 1996 includes car diagnostic software, so with our vast range of computer software, this generally allows us to facilitate most types of vehicles. From excellent prices to the swift service, there has never been a better reason to book in your MOT, car service or repair than today. 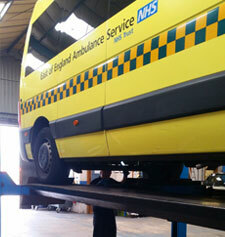 Call us on 01223 566 475 now and one of our friendly team will get your vehicle scheduled in.